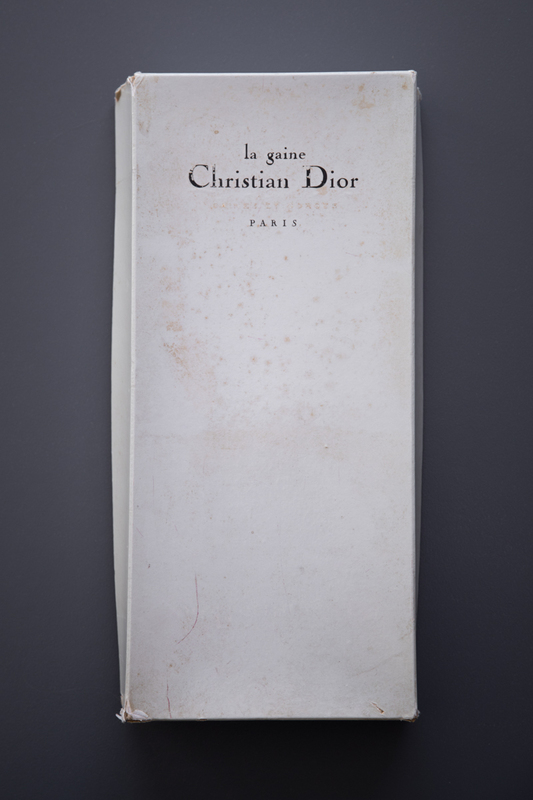 This corselet was created for the ”Gaines Et Gorges’ range of Christian Dior, which appears to have been designed and created in house (as opposed to being licensed). 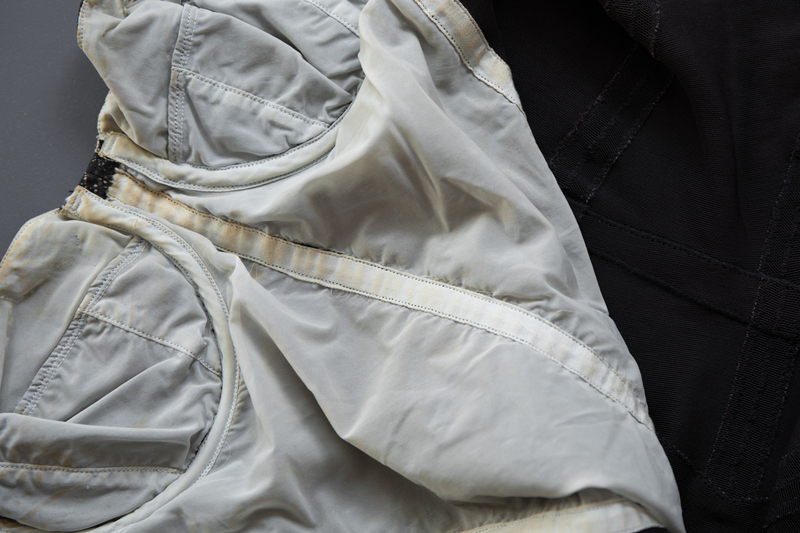 It is likely that this garment was altered for an individual customer. This corselet is relatively unstructured: the cups are underwired, but there is no kind of steel boning as one might normally expect in 1950s shapewear. 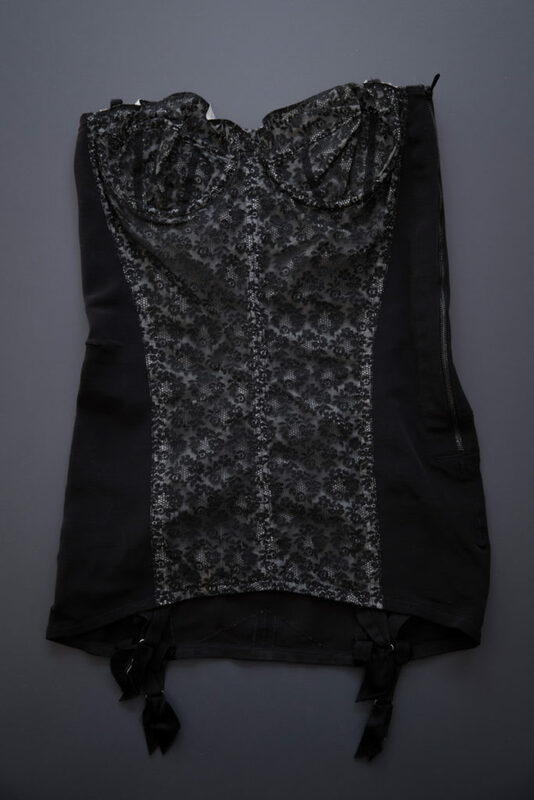 This garment instead relies on a front panel of non-stretch nylon backed lace, the heavy stretch mesh that makes up the bulk of the garment, and the cut to shape the body. 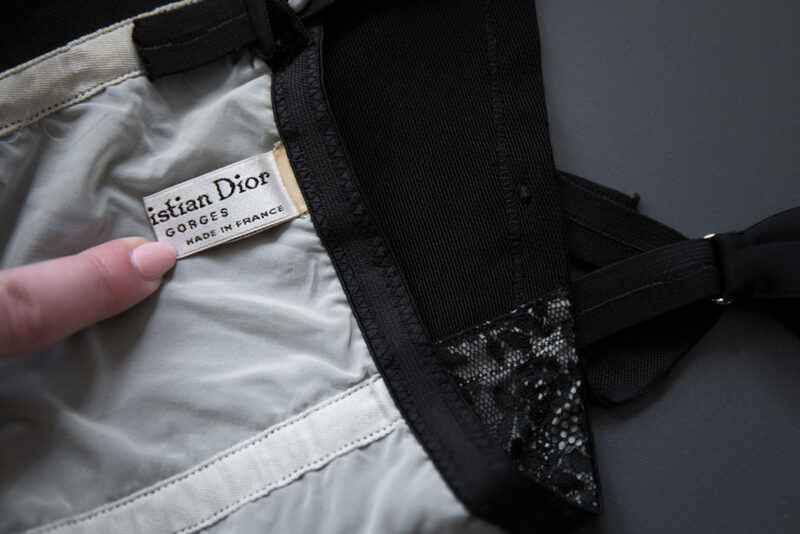 There are multiple seams around the body of the garment, and the waist is darted for additional shaping, with re-enforcing zigzag stitching over each seam. 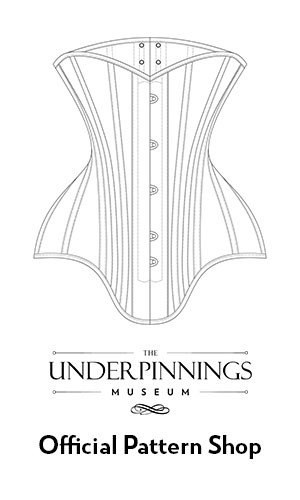 The corselet is designed to pull on over the body, opening at the side seam with a metal zip over a row of hooks and eyes. 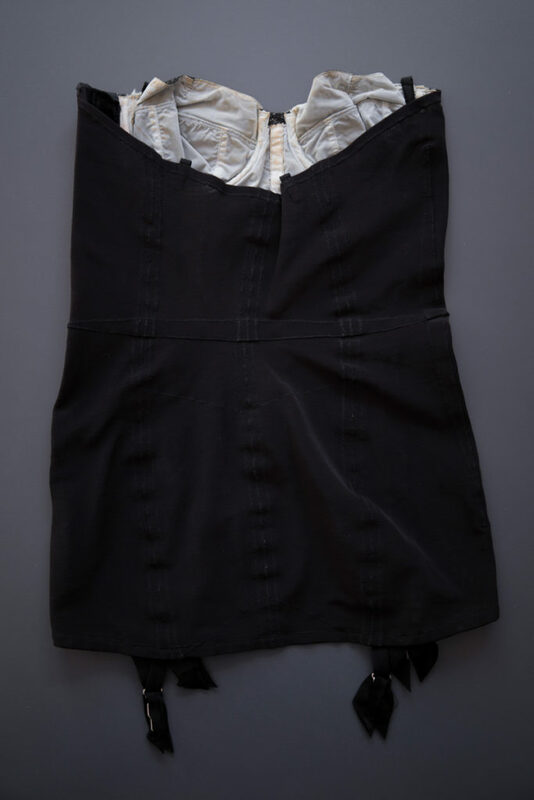 The four suspender straps at the bottom hem of the garment are looped through button hole elastic and can be removed. There are loops at the cups and back of the top edge for detachable velvet shoulder straps. The lace used in this design can be considered a Dior ‘signature’; it can be found throughout the immensely popular Symington license collection of 1957.